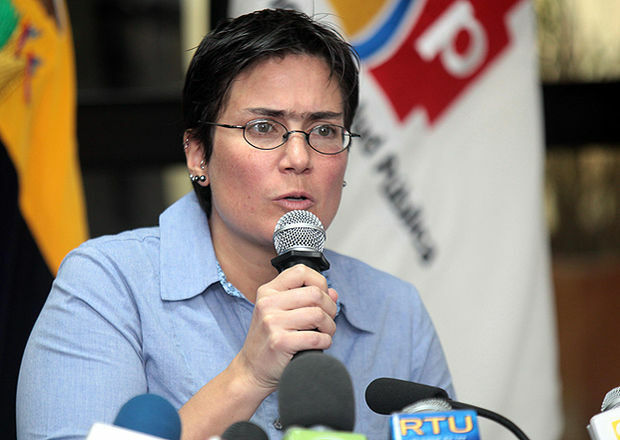 Presidential Cabinet appointment: Continuing with his LGBT-friendly record, Ecuadorean President Rafael Correa announced this week that Carina Vance Mafla, who is a lesbian, would take the reigns of the country's Health Ministry. The appointment followed the resignation earlier in the month of the previous health minister over criticism he had failed to modernize a health system that has been mired in inefficiency. Vance made no mention of her sexual orientation when she was introduced to the press on Wednesday nor did the press ask about it. Instead, the press picked up on it a day later after the Ecuadoran LGBT-advocacy organization Equal Rights Now (Igualdad de Derechos Ya!) released a press statement calling her a "lesbian activist" and saluting her appointment as a historic first. In the statement, the organization goes on to say that they hope the newly appointed minister will pay attention to current delays in the distribution of HIV medications, create guidelines to prevent discrimination against LGBT individuals at hospitals and health centers and take action on shutting down illegal religious "clinics" that promote "cures" for homosexuality. Background: It's not as if Vance is unwilling to talk public about being gay. In the April 2010 issue of the Ecuadorean magazine Cosas she describes coming to terms with her sexuality after a harrowing experience that happened on a bus when she was just thirteen years old. Born in Oakland, California, Vance lived in Europe during her teens. In the article she describes hanging out with her first crush and holding hands with her as they rode a public bus in Europe. She says that she stopped holding hands the moment she realized a group of guys in their twenties had noticed the gesture. Vance says that one of the men got closer and started spitting at them while a second man sat behind them and shouted insults. When she turned around to confront the guy shouting homophobic epithets, he punched her in the face. She thought she would be safe the moment she got off the bus but she was wrong. "They followed me home, kicking me and shouting at me," she says, "for me, it was a matter of pride that kept me from running, so I just walked on forward even as they continued to kick me. [The experience] not only helped me to become fully aware of my sexuality but also made me aware of the societal reaction to it." Vance would then move to Quito with her family where she attended high-school but says that she felt it was impossible for her at that particular time to live openly. She decided to move back to the United States after graduation where she spent twelve years finishing college and graduate degrees. "When I returned [to Ecuador] in 2004, it shocked me to see the gay flag prominently displayed at a university" she says. Vance realized just how much Ecuador had changed for the better and told the magazine that she now lived in Quito happily and openly without fear of being attacked. "Lesbian torture clinics": In 2008, I wrote about a two-part investigative report in Ecudor's El Universo which exposed a network of 140 illegal "clinics" that promised to "cure" gays and lesbians and turn them straight ("Ecuador: Kidnapping, torture and confinement at ex-gay therapy centers"). The articles earned the paper a prestigious journalism award and led to calls for the government to shut down the so-called clinics. Most recently, the "clinics" gained renewed attention when U.S. based online activism petition sites Change.org and AllOut.org launched calls in November for the Ecuadorean government to shut down the "lesbian torture clinics" at the request of Ecuadorean lesbian-rights organization Fundación Causana. The "clinics", as reported, actually don't discriminate based on gender when it comes to their zeal to convert the gay away and, to their credit, the government took some action last September when they shut down 30 clinics back in September. Yesterday, Change.org claimed victory in pressuring the Ecuadorean government to take action on these clinics. 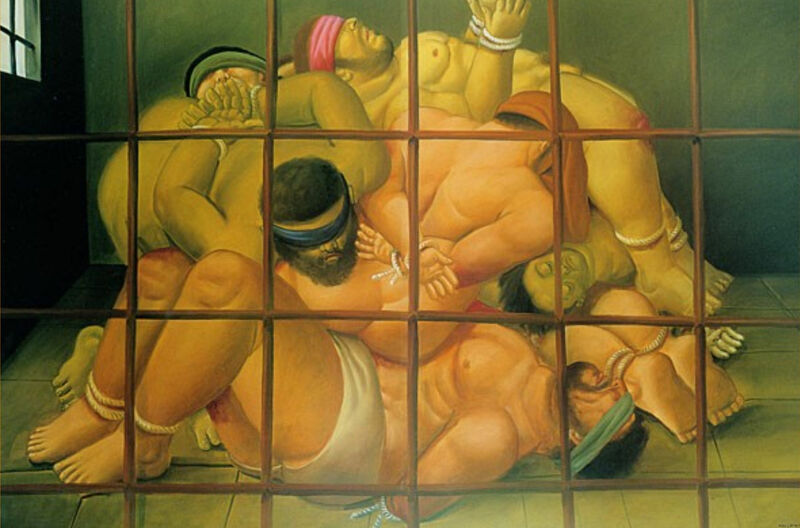 After ten years of outcry, the nation of Ecuador - through the Ministry of Public Health - has entered into a commitment with civic organizations and society in general to deconstruct the belief that homosexuality is an illness and root our the use of torture in these clinics. We extend our thanks to all the men and women who signed our petition. It has been invaluable to have this support in starting to change this reality. The online petitions that Change.org and AllOut.org posted were addressed to Ecuadorean President Rafael Correa and the former Health Minister David Chiriboga Allnutt. That Health Ministry seat, of course, is now held by Carina Vance. Well, it turns out that at the time Vance gave that interview to Cosas on coming to terms with her sexuality, she just happened to be the Executive Director of Fundación Causana. In other words, the agreement that Fundación Causana announced with the government probably has a lot to do with tremendous international pressure. But in an amazing turnaround of events, it's probably also due to the fact that the woman who previously led the agency leading the drive against the clinics is now the country's Health Minister.